Hans Werner Henze was born on July 1st, 1926, and received his earliest musical training in the midst of the National Socialist’s rise to power in Germany. Following World War II, Henze began his studies with Wolfgang Fortner, during which he completed his first canonical works. His early works were composed in an elegant neo-classical style, and contained the marked influence of composers such as Hindemith and Stravinsky. Henze’s distinct lyrical power was already evident in these pieces, and has persisted throughout the various compositional periods of his life. In the late 1940s, Hans Werner Henze became acquainted with both the Internationale Ferienkurse für Neue Musik in Darmstadt and the concept of serialism. Henze was influenced by serialism but not a purist, he incorporated serialistic elements into his already established neo-classical style. This synthesis of compositional styles is first evident in his violin concerto from 1947, and can also be heard in his first opera, Boulevard Solitude (1951). Henze left Germany for Italy in 1953, entering into a whole new cultural circle that would profoundly influenced his music, bringing to it new colours and increased expressiveness. The impact that this move had on his music is observable through the operas he would compose over the next ten years, beginning with König Hirsch (1953-56). Other examples from this period include: Elegie für junge Liebende (1959-61) and Die Bassariden (1964/65), both based on librettos from W.H. Auden and Chester Kallman, as well as the cantatas Novae de infinito laudes (1962) and Being Beauteous (1963). 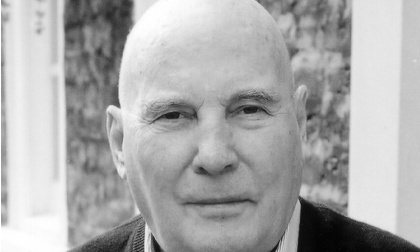 Hans Werner Henze has received countless awards. He holds the privileged title of first-ever composer-in-residence for the Berlin Philharmonic, and was twice composer-in-residence at the Tanglewood Festival. In May 2012, Henze‘s latest work entitled An den Wind, a work for mixed choir and instruments for Whitsun, had its world premiere at the Thomaskirche in Leipzig performed by the St. Thomas Boys Choir conducted by Georg Christoph Biller.